The Primary program serves children from ages two and half years old to six years old, who learn and grow together in a warm and prepared environment. 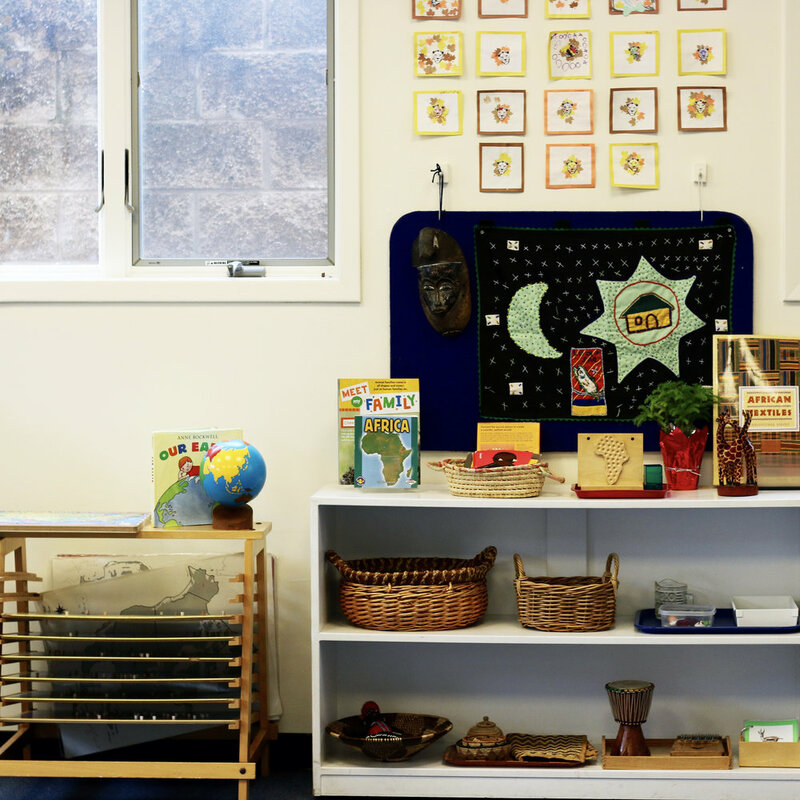 The classroom environment is designed to appeal to the primary aged child and is filled with developmentally appropriate materials. Colorful and appealing educational materials are displayed on shelves accessible to all children, child-sized furniture is tailored to their needs, and there are individual and group work spaces at tables or rugs on the floor. Within this mixed age group, children learn and advance at their own pace in a respectful atmosphere. The younger children learn by the examples of the older children. The older children gain confidence and reinforce their knowledge by helping the younger ones. Children are free to move around and choose the materials. Teachers interact with one child at a time or in a small group, demonstrating the use of the materials and recording each child’s pro guess. As children learn and grow, they progress individually at their own pace from practical life exercises, sensory materials to academic materials.